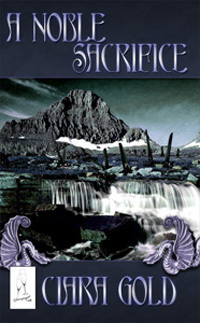 Today's featured book is A Noble Sacrifice, a science fiction futuristic romance by Ciara Gold. Fen Tared Charst has betrayed his brother, and his people. To right the wrongs he's done, he suffers the horrors of the zeel pits only to find himself a captive of the Temi tribe. In Yalfar, he discovers that leading the Temi princess and her warriors from their dying world is the key to his redemption. But losing his heart to Princess Joyella will be the key to saving his soul. Princess Joyella Denue has broken a sacred law and for that, she is exiled from Yalfar. To regain her honor, she agrees to lead a convoy topside to escape the collapsing city, but she can't make the journey alone. She needs someone who has traversed the path to guide her. Tared is forced to help her, but he soon becomes more than just a guide, he becomes her heart. Good morning! I shared your post on Pinterest, Google+, Facebook and Twitter.